Tonight is a pivotal Game 3 match-up in the Bruins and Maple Leafs series. After splitting the first two games in Boston, the series travels North of the border to Toronto. Here are what I think will be the keys to the game tonight. Playing on the road in the playoffs is a tall task, especially when it’s against your long-time rivals. 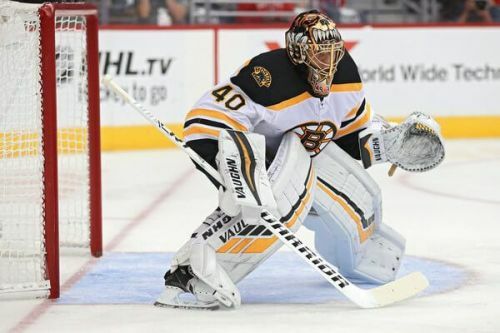 Coming into the series, I thought it would all come down to Tuukka Rask, and how well he would perform. Rask has looked shaky at times but has been solid through the first two games, but the challenge will come tonight in a loud and hostile environment in Toronto. Torey Krug and Jake DeBrusk will play tonight, while Connor Clifton and Marcus Johansson are out for Boston. The loss of Krug would have been a big one for the Bruins, so it’s good news he will suit up. The key to success will be attacking the net and making Frederik Andersen uncomfortable in net. If the Bruins can score early and put the Maple Leafs backs against the wall, the Bruins can play their game which is almost unstoppable. Rask always plays better and seems more collected with a lead, so that is a huge key to a road win tonight. Frederik Andersen is a seasoned veteran with a lot of playoff experience, he knows what he has to do tonight to get a win. Toronto has to be happy with splitting the first two games in Boston, as they come home to some of the best fans in the NHL. It’s still to be determined whether Nazem Kadri will be suspended for his cross-check on DeBrusk, as his hearing is coming later today. Coach Mike Babcock stated earlier today that his game plan for Game 3 won’t include Kadri. The Maple Leafs have the luxury of playing these next two games at home, and virtually end the series in the next games. Auston Matthews will have to step up and show why he is one of the most dynamic players in the NHL. 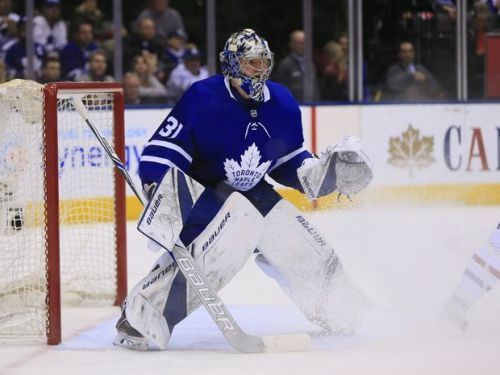 Andersen has been all the Leafs can ask for in net, and you can expect that he will continue to perform well at home. This game will come down to Rask and Andersen, and who has the psychological advantage, because we all know they are both talented. This is a huge game for both sides, as whoever wins this game takes control of the series moving into Game 4. The Bruins are the more talented team, but playing in Toronto is not easy. I expect a hard hitting, low-scoring, defensive battle in Toronto, with the Bruins coming out on top 2-1 with a third period goal to win the game by Patrice Bergeron.